To make good use of the hype around the PadMan movie, the Airports Authority of India (AAI) is taking forward its efforts to install sanitary napkin vending machines at airports across India with renewed vigor. As if taking a cue from Akshay Kumar starrer movie PadMan, Airports Authority of India (AAI) has started initiatives to make airports more woman-friendly by installing sanitary napkin vending machines at airports across the country. The authority has already installed the pad vending machines in 19 airports, including three in northeast India -- Guwahati, Agartala, and Imphal. By providing sanitary napkins at affordable prices inside the airport terminals, the authority plans to promote the hygienic practices among women passengers during menstruation. 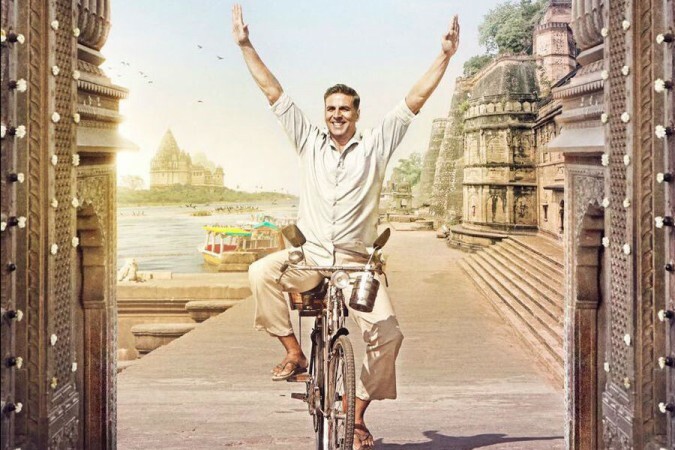 The movie PadMan, based on the true-life story of a Tamil Nadu man who invented the low-cost machine to make sanitary pads, challenged the social taboos related to menstruation and menstrual hygiene prevailing in the society. Even though the AAI had started installing pad vending machines much earlier, now the authority is using the hype created by PadMan movie to carry forward the mission with renewed vigor and to enhance the traveling experience, comfort, and convenience of lady passengers. The first sanitary pad machine was installed at Indore Airport in October 2017. Several airports followed suit, including the airports in Kolkata, Jaipur, Bhubaneswar, Port Blair, Thiruvananthapuram, Mangalore, Tirupati, Visakhapatnam, Vadodara, Aurangabad, Rajkot, Pune, Shimla, Varanasi, and Surat, besides three in the Northeast got these machines, according to The Telegraph. The cost of sanitary napkin range from Rs 1 to Rs 5 in these airports. For the convenience of women passengers and women employees of the airport ,sanitary napkin vending machines have been installed in ladies wash rooms at departure and arrival areas. While discussing the AAI's move, it is important to note that India witnessed an exceptional rise in domestic air travel and crossed the 100-million mark for the first time in 2017. In 2018 also the Indian aviation market is keeping the momentum. The domestic airlines carried 1.14 crore passengers in January. In January 2017, it was 95.79 lakh which means a growth of almost 20 percent.